Whether your requirements call for a single button entry panel or a fully integrated management system, Cherry Gates and Barriers will be happy to discuss and advise you of the best solution to meet your specific needs. 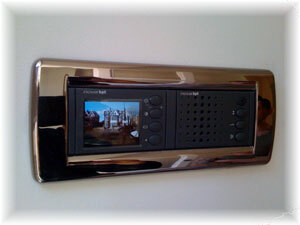 We are fully trained installers of TVTEL®, Telguard, B.P.T and Paxton Access Integrated Entry Control Systems. TVTEL® and Telguard integrates your existing land lines & mobile telephones onto your door entry system removing the need for additional hardwired handsets within your property or business premises. B.P.T and Paxton Access offer a full range of door entry and access control systems including audio and video entry systems with integrated keypads / proximity readers. All of these can be integrated to be run and managed from a central Personal Computer. Please call us on 01323 641759, 01273 921511 or 01892 888409 to arrange a site survey so we can provide you with a free, no obligation quote.